The Center for Foster Care and Adoption Belgrade in 2013 enters the fifth year since its establishment with significantly extended area of its activities and new challenges that lead us further towards creating our own identity and recognition within the system of social protection. All of this is possible due to the quality of the work in the Center. The Center was established during the process of reform, and it has already paved the reform path by following effects, which were already taken but also through mutually related activities that have to be tightly coordinated in order to achieve planned goals and expected results. Today, our institution has a new name – apart from foster care we have extended our activities to the area of adoption. We have also extended territory where our activities take place to Kolubara and Mačva Districts. 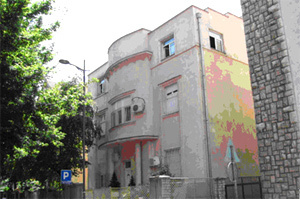 Our Head Office is in Belgrade, Municipality Vračar, in Radoslava Grujića Street, number 17.